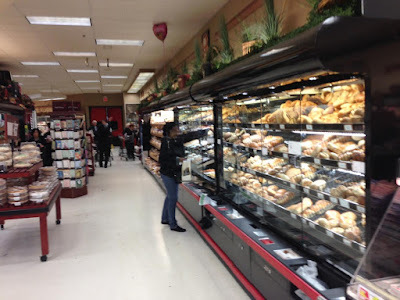 One of the first supermarkets I photographed was this store here in Bloomfield, NJ. 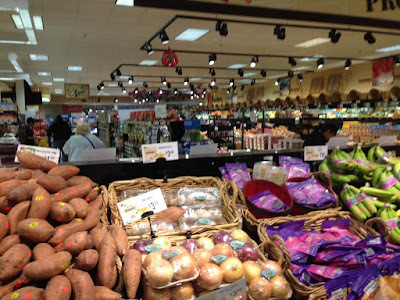 It's long been a favorite store of mine, although it gets very crowded very quickly. 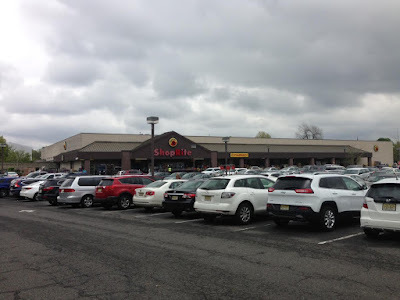 There was an older supermarket on this site just in front of the building that stands today, the Brookdale Shop-Rite, so named for its proximity to Bloomfield's Brookdale Park. Today, Brookdale Supermarkets owns this store, which was built in the 80s or 90s, and the newer (and also excellent) ShopRite of Newark, NJ. 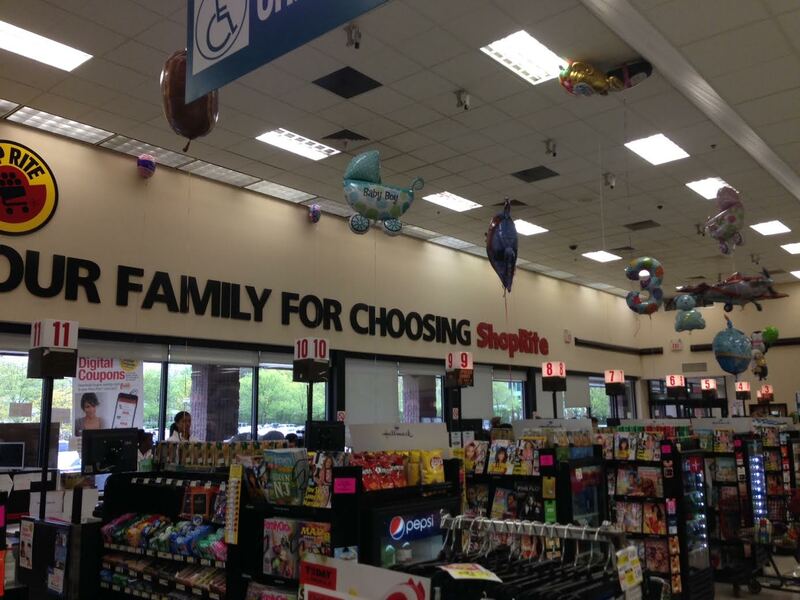 The layout here is a little unusual. 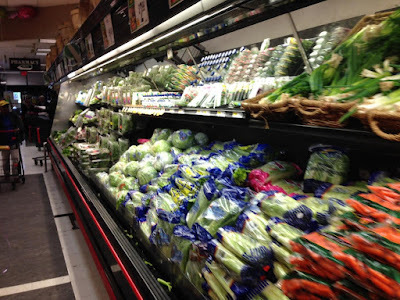 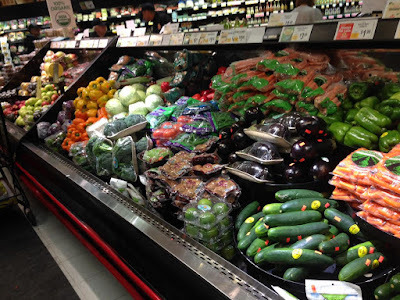 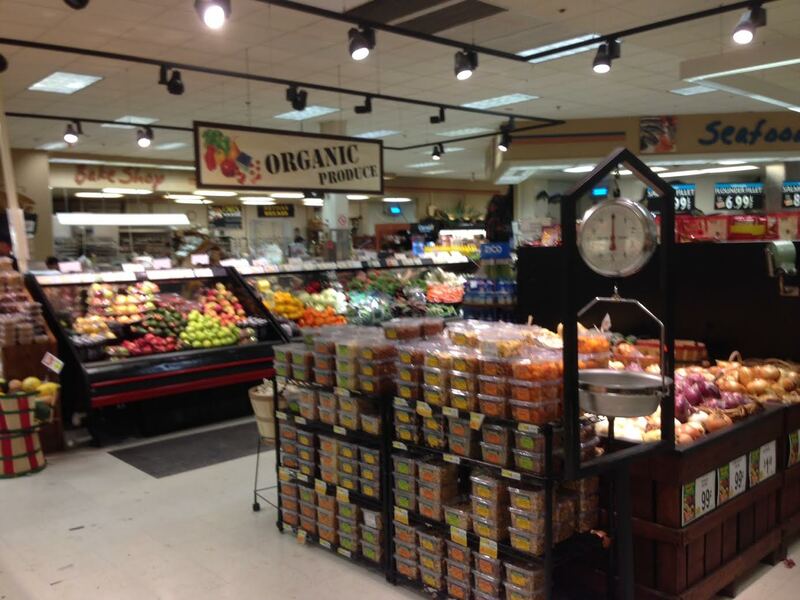 You walk into salad bar and floral, with produce lining the left side of the grand aisle and deli/seafood to the right. 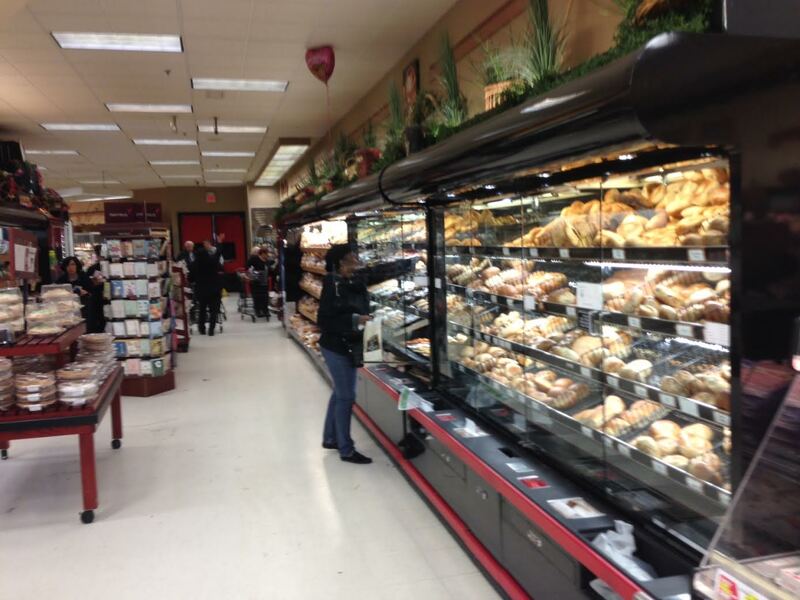 Bakery is at the back of the grand aisle with meat along the back wall. 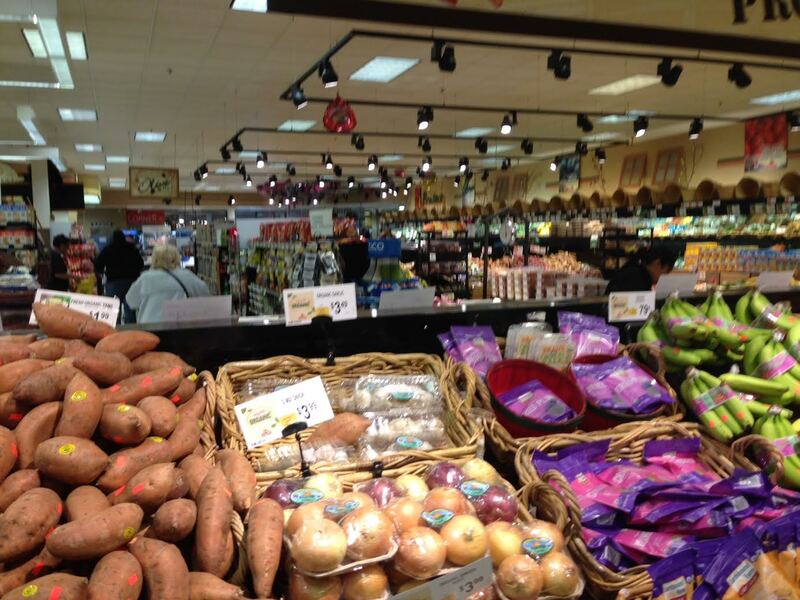 The store is extremely well-maintained, especially since it is rumored to be one of the highest-volume supermarkets in the area. 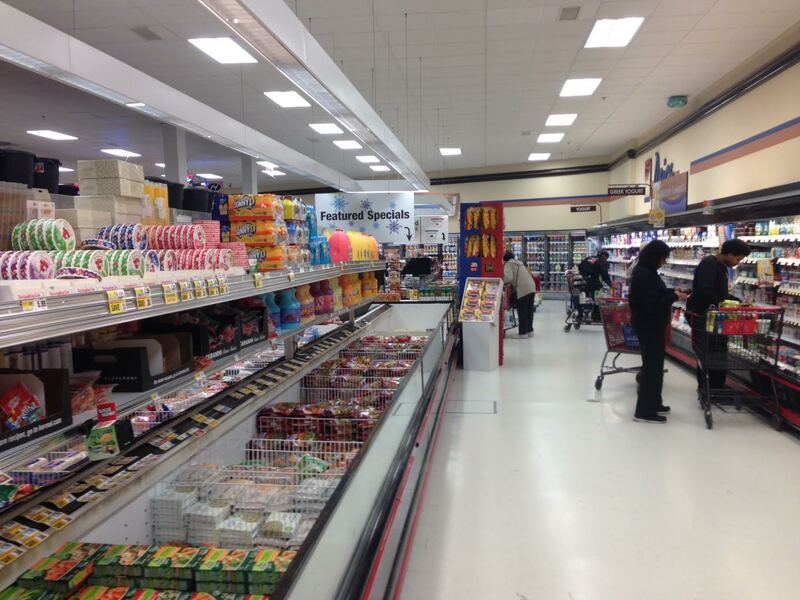 While the store is older, it has probably been fully renovated once since it opened. 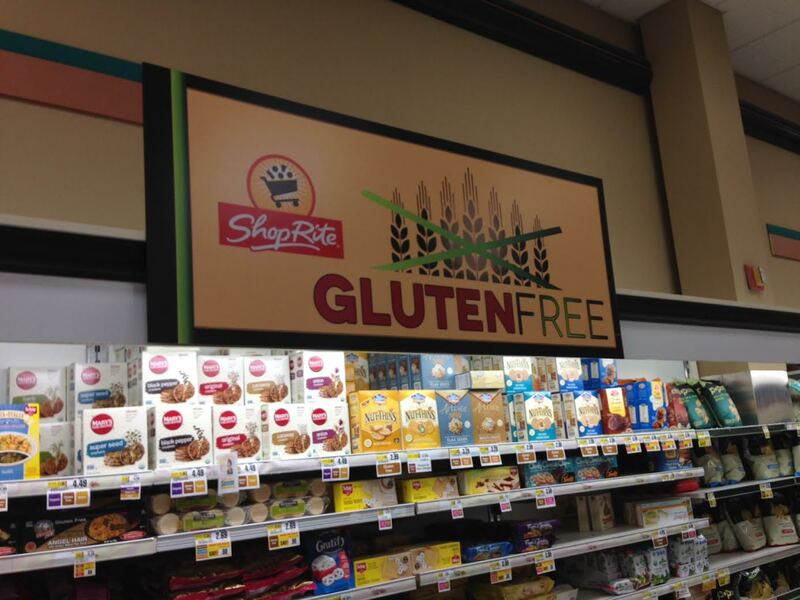 ShopRite was one of the stores that didn't jump on the organic bandwagon too quickly, but once they did, they went all-out. Both sides of this entire case are filled with organic produce. It felt to me like this store carried more than most ShopRites at the time. 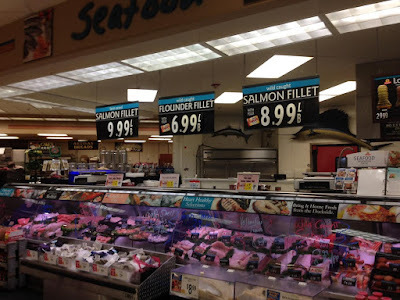 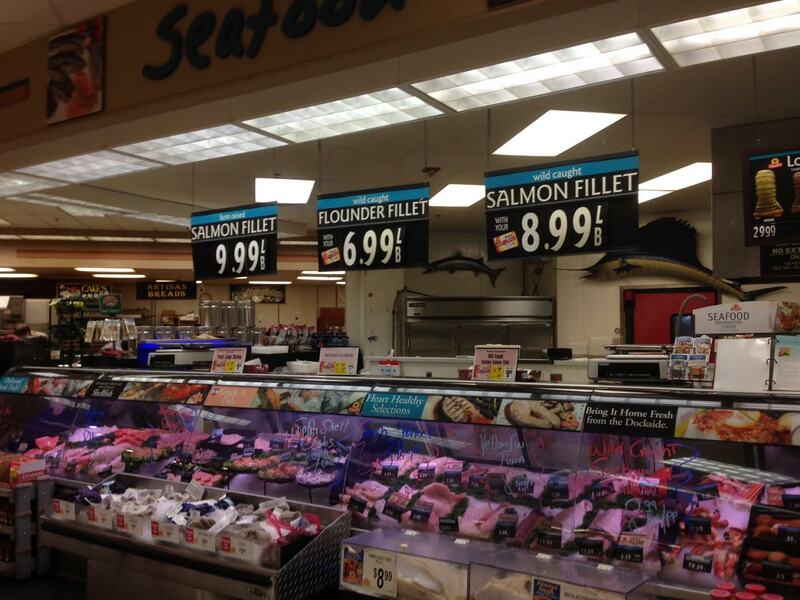 Deli and seafood run along the wall to the right in the first aisle, which is an island. 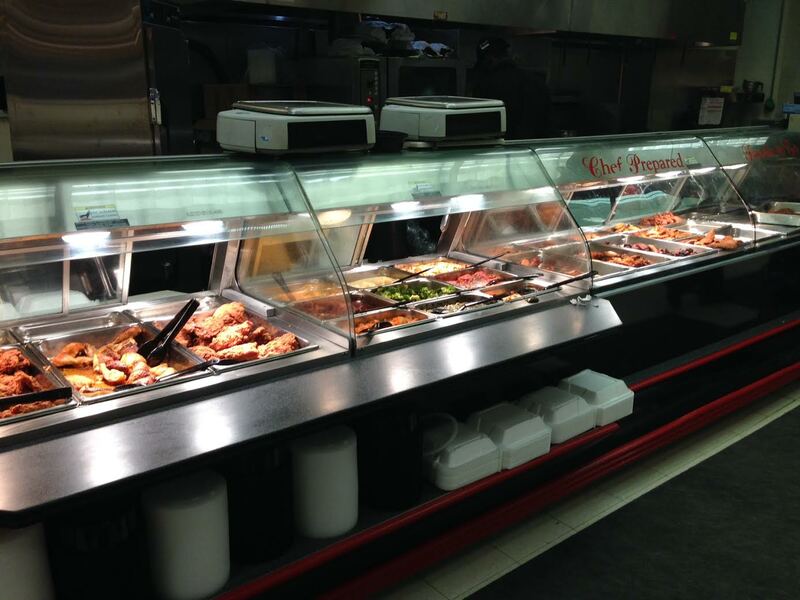 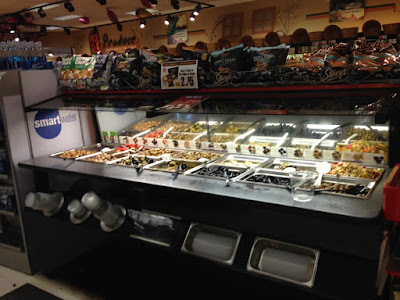 This store seemed to have a lot of deluxe upgrades earlier than most ShopRites had them, such as this olive bar and a very large hot food bar (although, strangely, no seating area in a pretty large store, around 60,000 square feet). 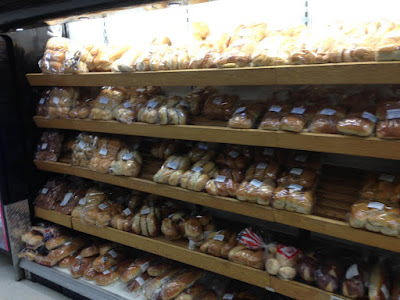 The bakery is one of the best supermarket bakeries you're ever going to find. 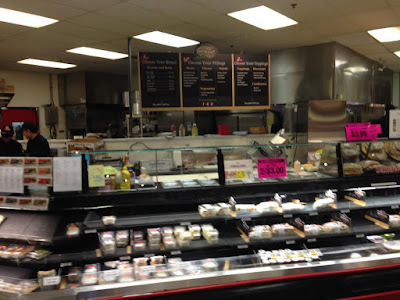 I think it's officially prohibited to leave this store without buying one of their donuts. 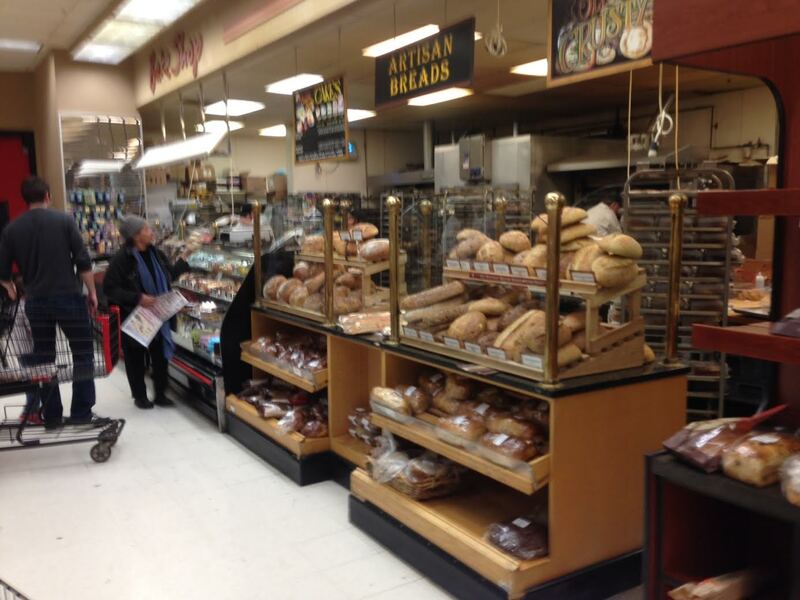 The bakery is double the size of the bakeries in some similarly-sized ShopRites, such as Carteret. 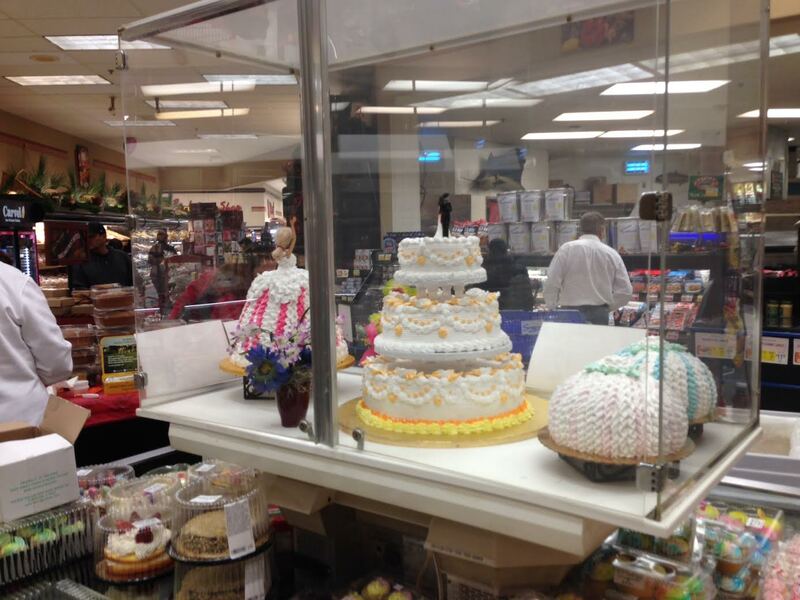 The bakery also shows off its custom specialty cakes displayed prominently in the middle of the sales floor. 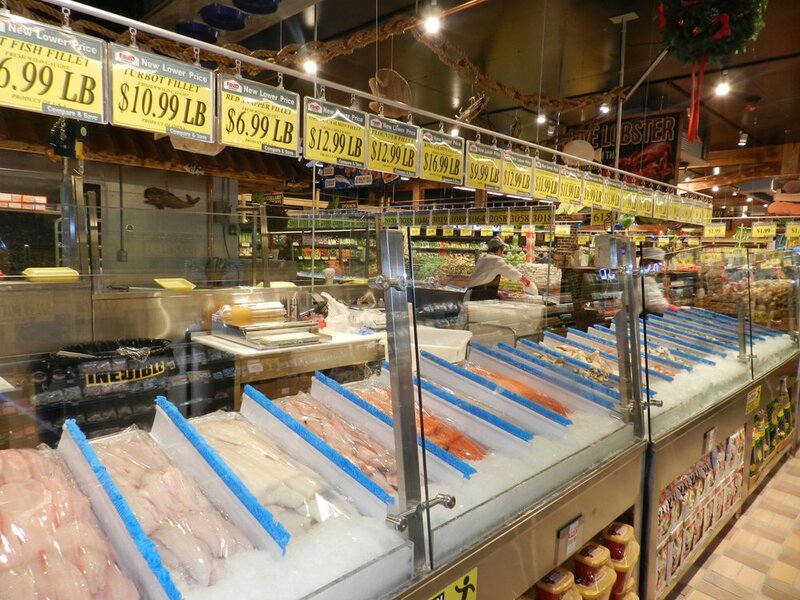 Deli, prepared foods, and seafood run along the island. 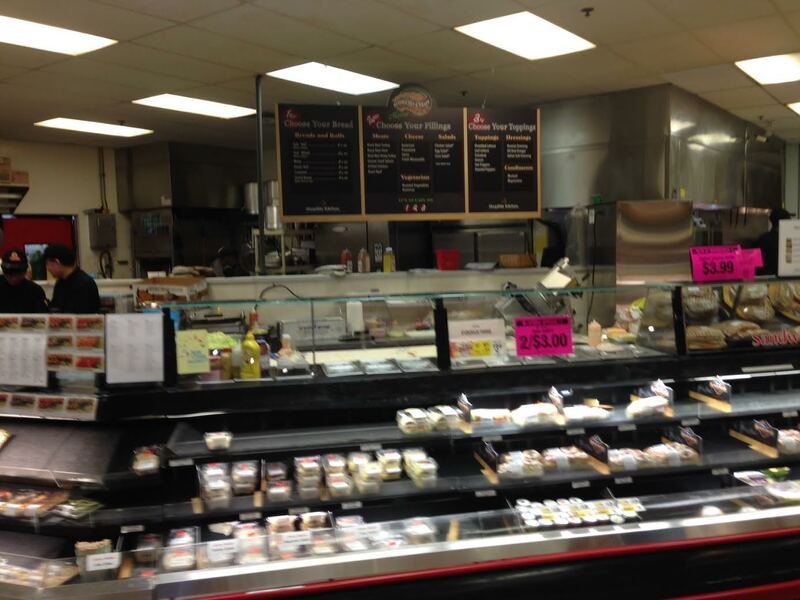 Sandwich counter looking kind of cleaned-out on a busy Sunday afternoon. 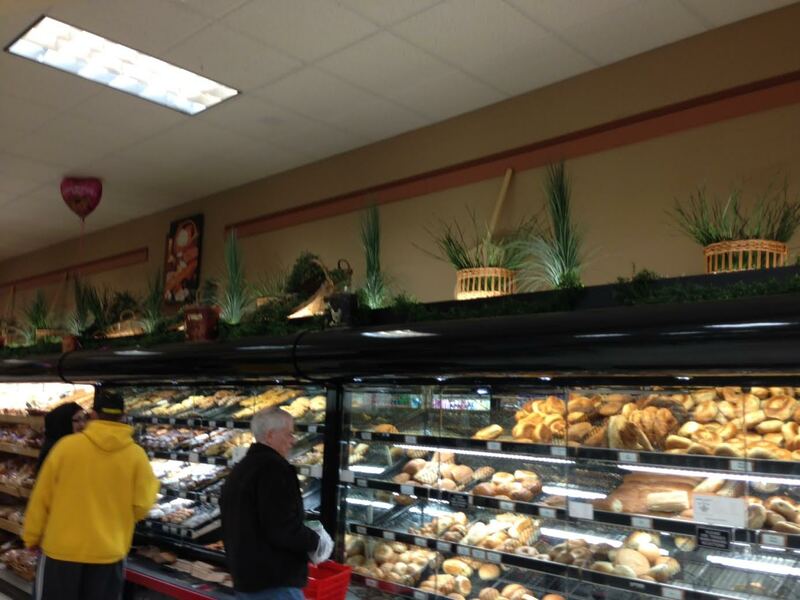 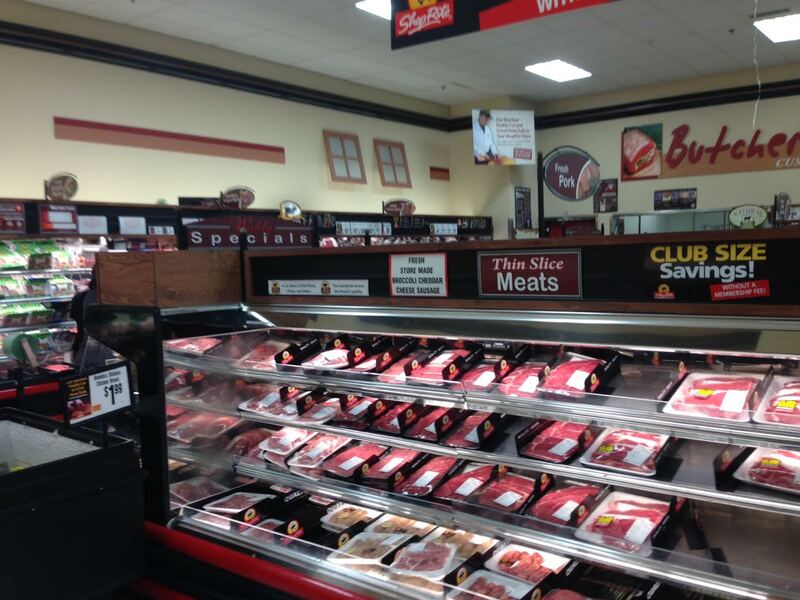 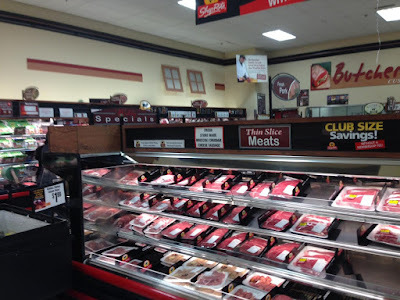 Meat runs along the back wall and in a small alcove at the back of the store next to the bakery. 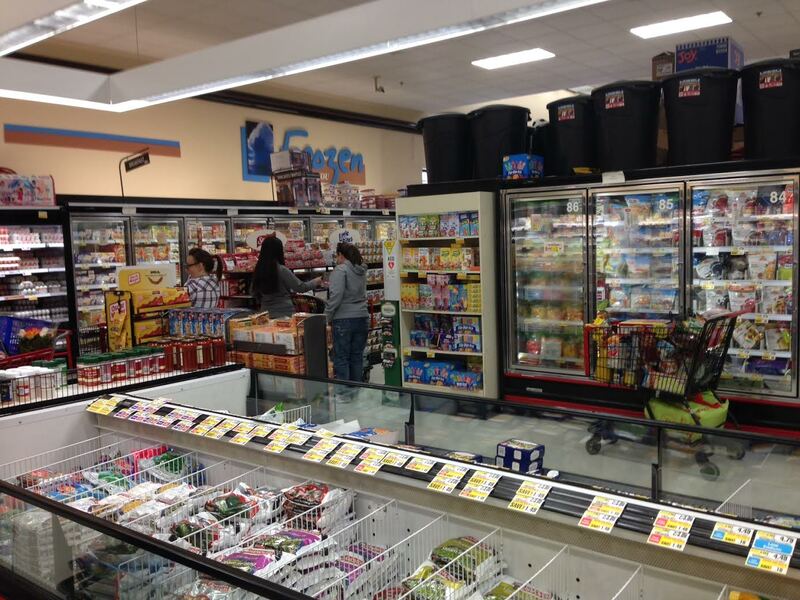 Frozen and dairy are located in the last aisle. 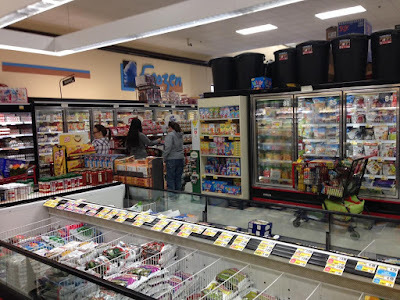 At the time of my visit, the store was still using open coffin freezer cases, but hardly any major supermarkets still use them, so they may have been replaced by now. 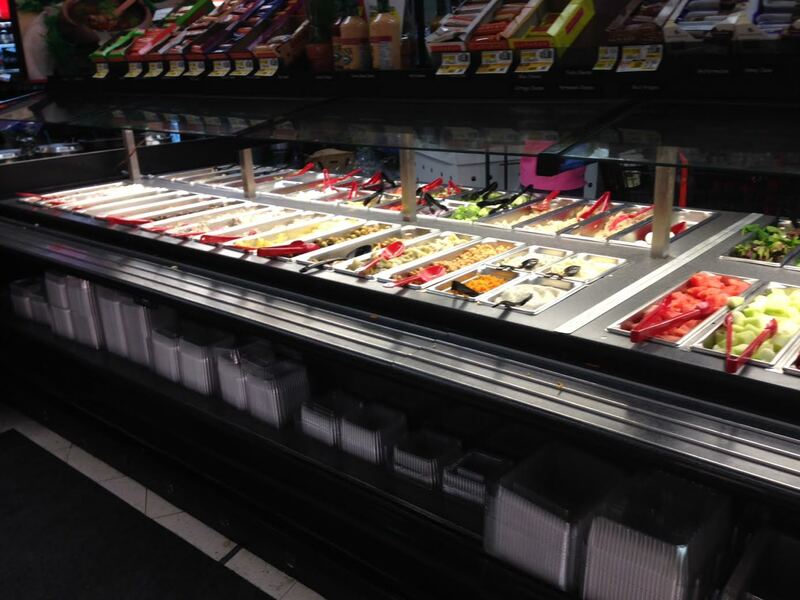 Additional freezer cases run along the front wall of the store. A look along the front end. 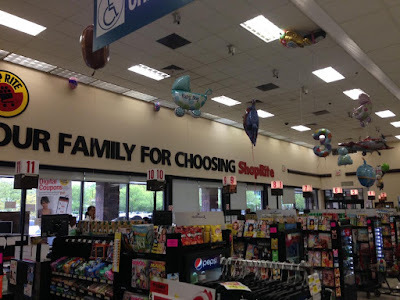 The full text of this sign (which runs across the entire, expansive front end) reads, "The Brookdale Family Thanks Your Family for Choosing ShopRite." Brookdale Family here is meant figuratively; the Greenstein family owns the store. 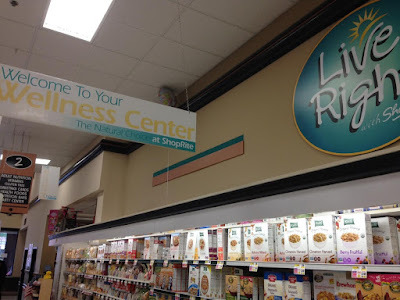 Customer service is located on the front wall between the entrance and exit, and pharmacy is located in the island next to the ShopRite Kitchen prepared foods department. If you go here, you must, repeat, MUST try something from the bakery!